Join us for our annual lunch. After lunch, Hazak members are invited to Gloria and Ray Millimet's home for dessert. 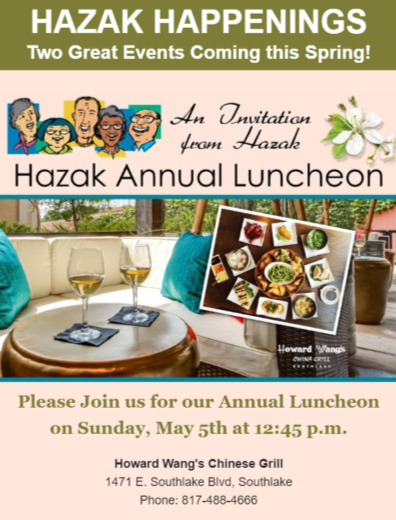 Please RSVP to hazak@congregationbethisrael.org by May 2, 2019.